McDonald’s has served up an Earth Day nugget. Since 1970, April 22 has become in many countries a semi-official date to ramp up awareness about the environmental state of the planet. The fast food chain chose the eve of this year’s event to announce it is to end its role in deforestation, following agriculture giant Archer Daniels Midland’s lead. Such shifts, though, are bite-sized appetizers at best. The pledge from McDonald’s is welcome nonetheless. It intends to buy its beef, packaging, coffee and other products only from suppliers that don’t clear primary forests and other high-conservation areas. ADM made similar commitments in March after some shareholders managed to get a resolution onto the agenda for its annual meeting next month. Such investor action has paid off elsewhere, too. Both BP and Royal Dutch Shell decided to support resolutions calling for more transparency and progress reports on how they deal with the effect of climate change on their business. Groups like CDP and the United Nation’s Principles for Responsible Investing, meanwhile, are corralling company data on climate change, water, deforestation and other environmental issues on behalf of growing numbers of shareholders that want better insight into such risks. Deforestation is only one area of concern. But it accounts for perhaps 20 percent of the world’s carbon dioxide emissions and encourages what is often inefficient and unsustainable use of natural resources to rear cattle or grow crops. Cutting down too much woodland and forests near cities can also contribute to both lower quality and reduced amounts of water for residents. And if done on a vast scale, as in the Amazon rainforest, it can remove sources of evaporation – one of the reasons cited for Sao Paulo’s current mega-drought. 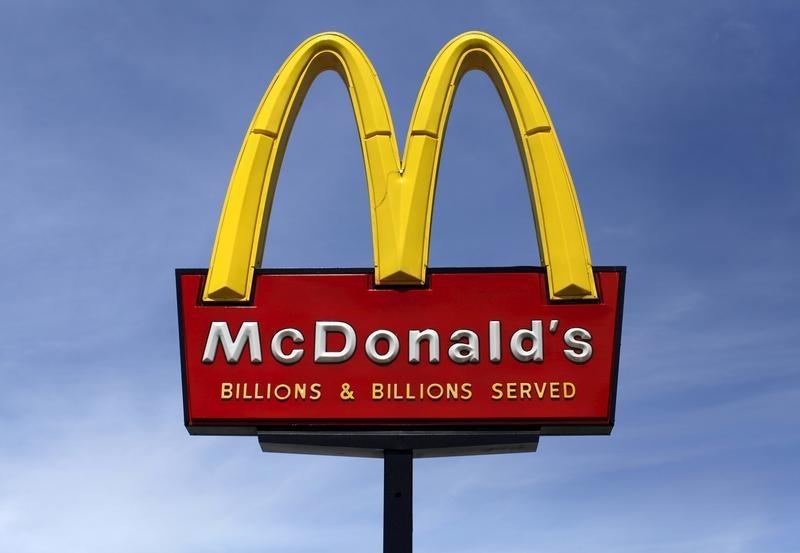 So the Golden Arches’ new boss, Stephen Easterbrook, should be applauded. Such changes boost the annual homage to the Earth. But the world’s population is increasing and demand for energy, food and water are growing fast. As policymakers will surely realize at the 21st annual U.N. climate conference in Paris this December, there’s lots more to do. On April 21, McDonald’s said that it has made a commitment to end its role in deforestation. The move affects the company’s supply chain in all products, including beef, fiber-based packaging, coffee, palm oil and poultry. The company is to start developing deadlines for the shift later this year. Food and commodities giant Archer Daniels Midland made a similar commitment on March 31 after Green Century Capital Management and the New York State Common Retirement Fund submitted a proposal for the company’s annual meeting asking shareholders to vote for ADM to reduce its supply chain impact on deforestation. On April 21, BP shareholders voted in favor of a shareholder resolution calling for greater transparency in how the company thinks climate change could affect its business. The resolution, which BP supported, was approved by 98 percent of those voting. Royal Dutch Shell shareholders will vote on a similar resolution, backed by the company, at its annual meeting on May 19. The 21st United Nations Climate Change conference takes place in Paris in December.